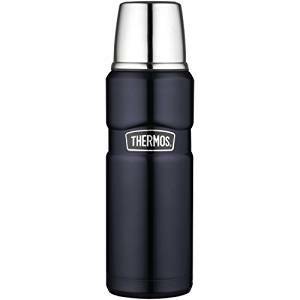 Thermos are useful in variety of situations however mainly used to hot or cold liquids hot and cold respectively. 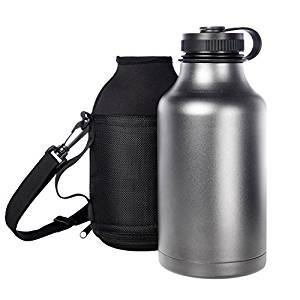 Professionally thermoses are called insulated bottles or vacuum flasks, however since thermos was the first company which get popular, the name caught as industry standard. Thermoses are not any ordinary liquid flask, but it must has a thick layer of insulation inside it, which keeps the temperature of the things inside it. This is a misconception that thermoses only used for coffee, soups and meals hot, however it can also keep a cold items cold, even ice creams. Thermoses vary in insulation, price, durability and sizes. Although all created for similar purpose, there is a huge difference between cheap and expensive ones. To keep something bigger, or to keep them for longer period of time read the reviews below. 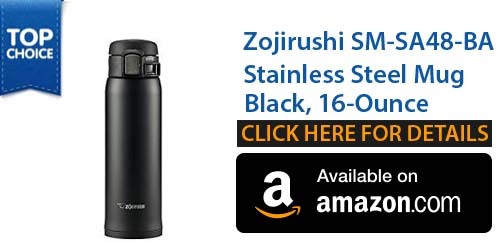 If you need a thermos with excellent insulation, look for Zojirushi, which is made from stainless steel and air tight lid to seal with safety lock. Lid is durable and never leak anything. The safety lock feature is best as it stops you from accidental slips. About built and design quality, there isn’t anything negative. Its opening is enough big to let ice cubes however not too much big to make it hard to fill the liquids out. Its stainless steel shell is impressive, as well as makes it completely durable and provide an added layer for insulation. It doesn’t look cheap and there are no worries of breakages. It comes with 5 years warranty. The only complaint about it is that it is bit small to clean from inside. You have to use a special bottle scrub brush to clean it. The spring action on lid is slightly fragile and you will feel that it could break easily. Regardless to its minor flaws, it provide best insulation because of smart Japanese engineering and stellar insulation. After many test against other brands, Zojirushi was winner among all. It can keep cold as well as hot beverage for longest. Its double wall stainless steel vacuum insulation which diminishes the heat loss by convection currents. As compared to others, it outshined for insulation. It kept ice cubes for longer i.e. for at least 6 hours and warm for 3 hours. Its steel coating inside, make it easy to wash and doesn’t soak in any type of scents. 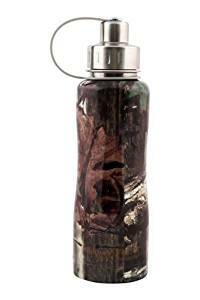 If you are considering the overall design, Thermos Stainless King Bottle is best. Since 1900s, it has been manufacturing insulated bottle and they excellent performance and quality make their name Thermos as industry standard and many started calling it thermos rather vacuum flasks. Now days, game has changed and many companies entered the competition. As we stated above, its design and build quality is perfect. Primarily, it looks gorgeous. With sleek black stainless steel look, it match to your iPad and iPhone at Starbucks. Stopper at its opening is designed so you can twist it slightly to let the liquid out gradually however it would not be enough pressure to let whole bottle slip out. This stopper creates an air tight space inside and avoid any type of leak, as compared to Zojirushi. Thermos Stainless King has perfect insulation to slow the heat transfer in and out. It can preserve the temperature of hot drinks for 12 and cold drinks for 24 hours. Between inside and outside there is an airless space or vacuum which act as insulation. The sound engineering is applied to ensure the way that minimizes heat loss by air vacuum. Though their efforts are admirable, Zojirushi deserves a gold medal because of its better insulation. However about overall package, functionality and design, Thermos Stainless King Bottle wins. Eco Vessel is best eco-friendly thermos which is recyclable. It started in Boulder Colorado and its manufactures a strong line of thermoses which are free of Liners, BPA, Phthalates and other chemicals that are harmful to environment. 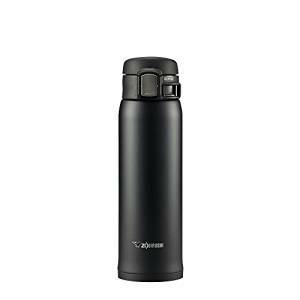 The outer layer of this thermos is made from premium #304 stainless steel and therefore it is very much durable. We like its design which is tailored towards any outdoor passionate. There is a cap with bendable handle on the lid. This handle can be hooked in a carabineer as well as strapped to backpack. One of the pitfalls of the lid is that it doesn’t shut contents inside thermo air tight. Therefore there is slight leaking if you throw it around, however we do not think it as a major problem. On insulation front, Eco advertise a triple insulated wall. Usual premium thermoses include 2 walls that separate inside from outside, however Eco Vessel incorporates 3 walls. As of the hype about this new company, and its hype, we tried to investigate it ourselves. As we think triple insulated wall is marketing gimmick, we do not doubt its capabilities of insulating. Its insulating strength is similar to Thermos Stainless King, being able to keep hot things hot for 12 hours and cold things cold for 24 hours. Although Company reports 36 hours of cold insulation, we were unable to verify if this thing is true. 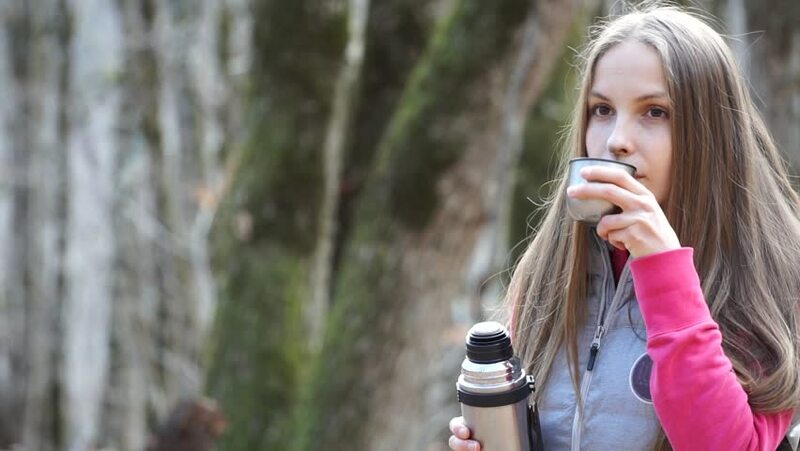 All in all, this is the solid thermos for those who are outdoor enthusiasts and also eco-conscious. 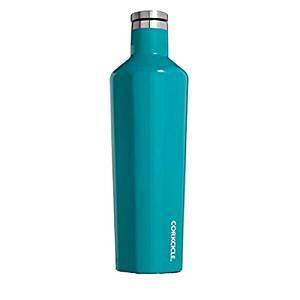 Corkcicle Canteen keep your hot drinks hot and cold drinks cold. Be it is a full bottle of chilled martini, wine, cold water or hot toddy, Corkcicle canteen goes where any plastic should not and where even glass cannot. It is the perfect alternative to glass and plastic. It include an insulated stainless-steel interior which keep your drinks pure, fresh and tasting clean. It also features a wide mouth to allow you the easy pouring into or out of the canteen. This feature makes it great to store ice cubes. It has an ample volume of 25 ounce which is enough to fit in full wine bottle, and three layers of insulation helps to keep your drinks hot for more than 12 hours without burning your hands, or cold for the whole day without condensation messy drips. The Corkcicle Canteen Biscay Bay Gloss is ergonomically designed with tapered bottom which fits most if not all the cup-holders. It include flat sides to allow for easy gripping and the best thing a flat, non-stick, which stands safely and securely in upright position. Stylish, durable and lightweight, take the Canteen to the beach, outdoor concerts or poolside, but leave the clumsy cooler at home – with the Canteen, cold drinks stay cold, even in the hottest sun. Ivation Insulated Stainless Steel Vacuum Flask keep your tea, coffee or any hot drink steamy and any cold drink cold. A double wall vacuum insulation is meant for the purpose of maximum temperature retention. It is a perfect size that can easily fit in a bicycle rack or car cup holder. It is made from higher quality 18/8 stainless steel and a 100 percent BPA free material. It can keep your hot drinks hot for 8 hours and cold drinks cold for 12 hours. It has a leak proof design that prevents spill. Its matte finish exterior ensures that this flask will never sweats. With a minimalist, simplest and light weight design it is a great gig for your outdoor and even indoor activities.